Products – Silverfern Power Technologies Co.,Ltd. 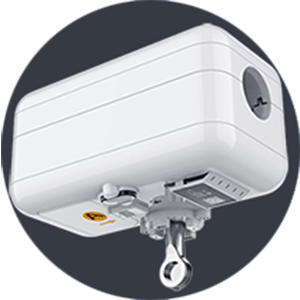 LinePatrol ® Smart Grid Sensor (SGS), is an inductively self-powered intelligent device, easy to install and maintenance free. Unlike the traditional power sensors and FCIs, the wide-area timing synchronization and high-precision measurement is introduced in SGS. By providing critical information unavailable previously such as phasors, the SGS helps utilities to gain visibility and improve efficiency for a more reliable grid with limited budgets. SFPlatform collects, records and analyzes the timing synchronized data over time and provides utilities with insights into the feeders and system-wide network. Taking advantage of big data analysis, the system identifies not only faults but also abnormal disturbances, and then alerts operators visually and notifies repair crews via SMS and APP in time, which helps to reduce outage duration and enables faster response to lower SAIDI and CAIDI. Wireless Current Sensor (WCS), specially designed for the UHVDC convertor station, completely solves the problem of the key equipment on-line monitoring and pre-failure diagnosis. Since 2016, this product has been put into field operation in more than 9 UHVDC Projects in China and helps to avoid the unscheduled shutdown caused by those equipment failures.